When looking at fitness for the whole family, one of the main stumbling blocks may well be reluctant teenagers who do not think it is ‘cool’ to be seen to exercise. It must be said that this is a problem more prevalent among girls than boys. So many parents will try encouraging reluctant teenagers to exercise but with varying degrees of success. No two children are the same but some of the following tips may help. Although many people enjoy sport, both watching and playing, there are many who do not, so it must be remembered that sport is not the only way to exercise. Teenagers may not want to get hot and sweaty playing a sport and may prefer to exercise in a different way. For girls, one of the best ways to encourage them to exercise, if they are not sporty, is to look at exercise which involves their interests. One great way to get them involved in exercise is through dancing. Many teenagers will love to go out dancing, so encouraging them to exercise is just a matter of harnessing this interest into a more structured exercise programme. 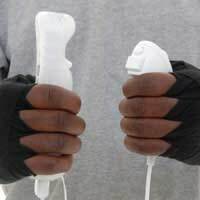 Similarly, new style games consoles such as the Wii can be used to supplement a teenager’s existing interests with exercise. A console with a dance mat combines both of these and can be a good source of exercise. Some high tech leisure centres even include more advanced versions of dance mats for people to work out on at a higher level. Because one of the difficulties in encouraging teenagers to exercise is that it is not seen as a cool thing to do, one of the best ways to get them involved in exercising is to make it seem like it is not exercise. This could include going on long family walks at the weekend, or organising some other type of family holiday with activities. A good example of this would be canoeing, or skiing – both activities which give you a good workout but do not necessarily feel like exercising for the sake of it. And, as an added bonus, your family will get to spend some quality time together taking part. Major idols in any young person’s life usually include sports stars so make a concerted effort to show them exactly why these sports stars are idols to many people. Watch sport on TV, listen to it on the radio and go and see live sport. This could be a Premiership football team or your locale basketball side. But when a teenager who has previously been reluctant to exercise sees top players in action, they may well realise why so many people look up to them. This in turn may prompt them into wanting to take up the sport or a sport themselves – in much the same way that sales of tennis racquets always rocket around Wimbledon time. Teenagers will exercise if they see that there is something in it for them. This could be indulging an existing interest or improving their body image. But the one thing to always bear in mind is that if you force them, they will run away from exercise rather than towards it. It is best to take a softly softly approach when it comes to teenagers and exercise – the rewards will be far greater.